Chris Hamje (left) and John Stecker (right) are two of the Co-founders of 4th Tap. Over the last several months, a nondescript warehouse space on Metric Blvd has been undergoing a quiet transformation. From the outside, the building fits comfortably within the beige aesthetic of the North Austin industrial area that surrounds it. Yet, on the inside, a passionate team is prepping shiny new tanks to hold beer, and putting finishing touches on a stylish taproom to serve it from. To the outsider, 4th Tap Brewing Co-Op’s location may seem a peripheral choice, but anyone who has spent a bit of time in a taproom in this town knows that with Austin Beerworks, Circle Brewing and Adelbert’s Brewery all sitting within two miles, the North Burnet area between 183 and Braker has become one of the city’s best neighborhoods for a brewery crawl. The right building in the right location was important to the team behind 4th Tap, so much so that they spent eight months looking for a spot. The building they now call home checked a lot of boxes, including three separate AC units for what’s now a totally renovated and comfortable 10 tap tasting room. Behind the glass doors which separate this tasting room from the rest of the facility, a 30 bbl system will work to crank out beer to serve in-house, as well as enough to can (with the help of Armadillo Mobile Canning) and keg for distribution around Austin. 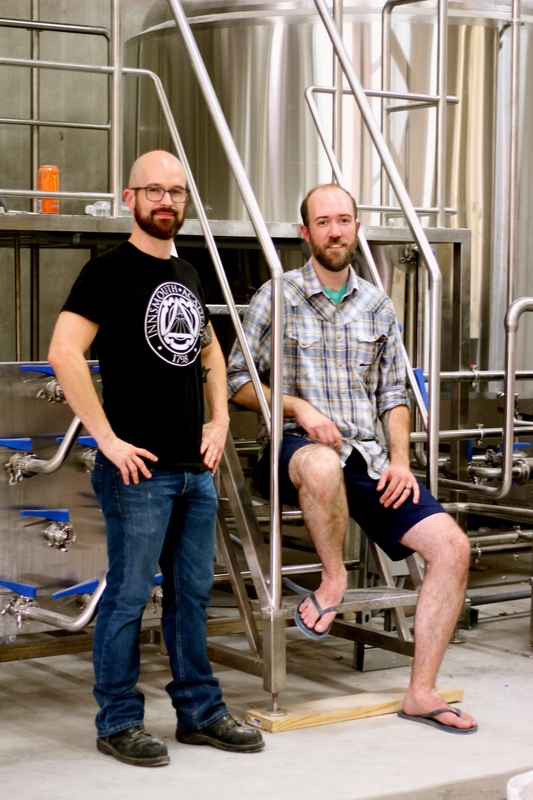 While 4th Tap will soon be joining the ranks of homegrown Austin breweries, they are treading new territory as the city’s first worker-owner brewing cooperative, which will operate differently from Austin’s other co-op brewery, Black Star, which is member-owned. Stecker (who will head up the business side of the brewery), co-founded the project alongside Black Star alum Chris Hamje (who will head up the brewing side) and Cellar Worker Mike Olfers. Future employees will work at the brewery in an apprentice fashion for one year before having the opportunity to transition into a worker-owner role. While everyone will have their own positions and specializations, it’s important to the 4th Tap team to embody the common co-op principle of “One Worker, One Vote,” and take a democratic, collaborative approach to running the brewery. Along with a revolving door of seasonal releases, 4th Tap has plans for three flagship beers–a grapefruit IPA using Texas-grown Ruby Reds, a tamarind wheat ale with a light, tart finish, and Sun Eater Gruit, which has previously enjoyed a guest tap slot at Black Star Co-op. The beer uses all Texas-grown ingredients, like sorghum, lemon peel and rosemary, in place of barley and hops. With brewing operations starting any day now, 4th Tap plans to be open by the end of September. An official grand opening party is on deck for October. Check out the photo gallery below for a look at the brewery’s near complete taproom which has plans to be open seven days a week, serving coffee in the AM and beer on into the evenings. Please let me know when your first “soft opening” will be.